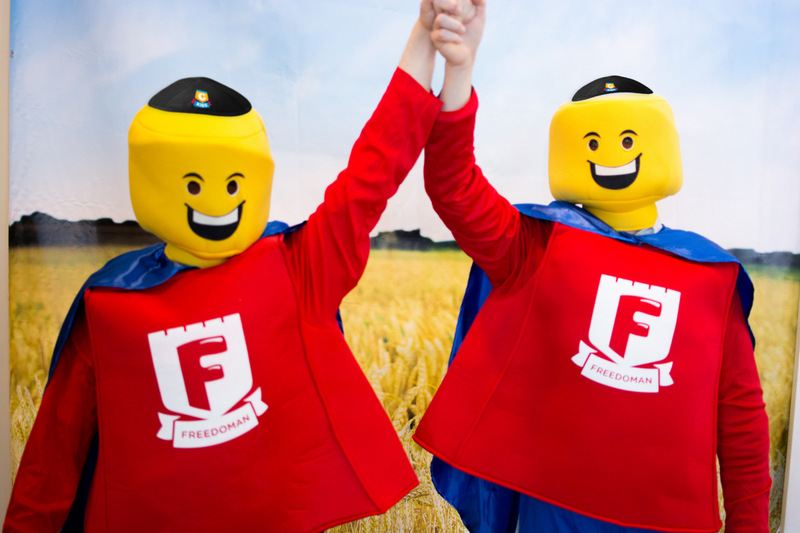 This Pesach, popular Lego superhero FreedoMan will lead thousands of young Chabad House-goers to victory over Pharaoh in the brand-new CKids Tzivos Hashem Freedom Challenge. That’s why CKids—a joint project of Merkos L’Inyonei Chinuch’s Suite 302 and Tzivos Hashem—is launching the Freedom Challenge, a global mission to creatively engage Jewish children and their families in the core activities and message of Pesach. 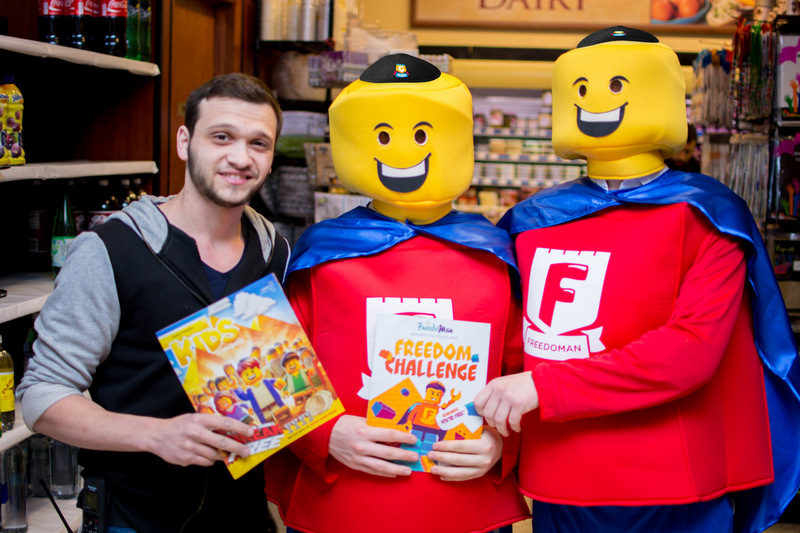 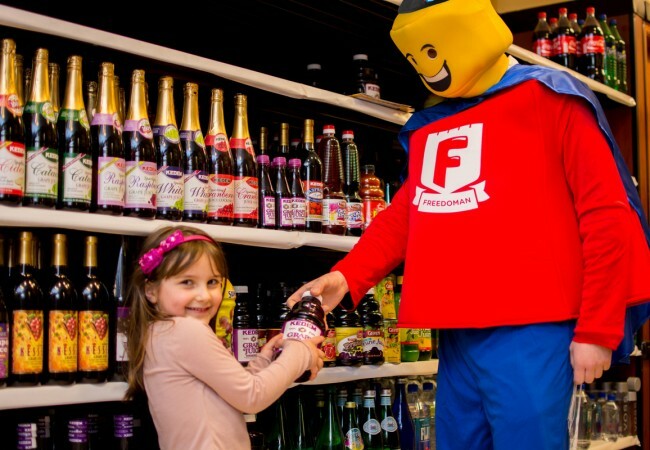 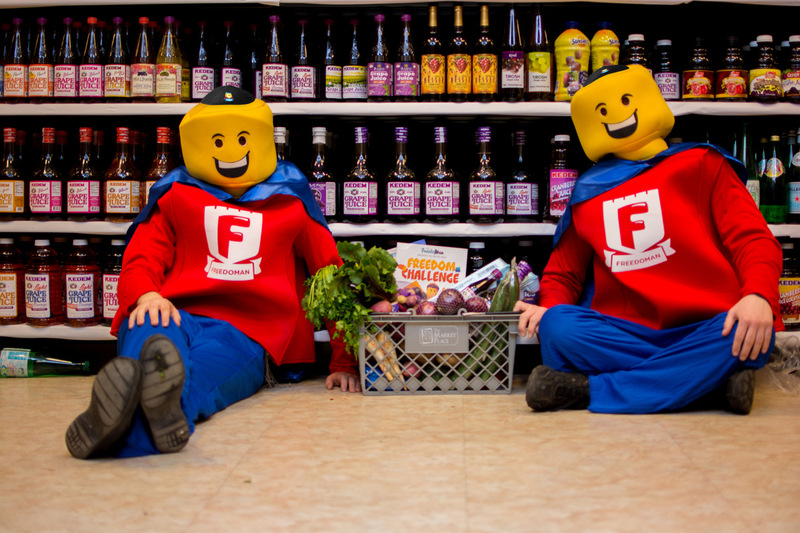 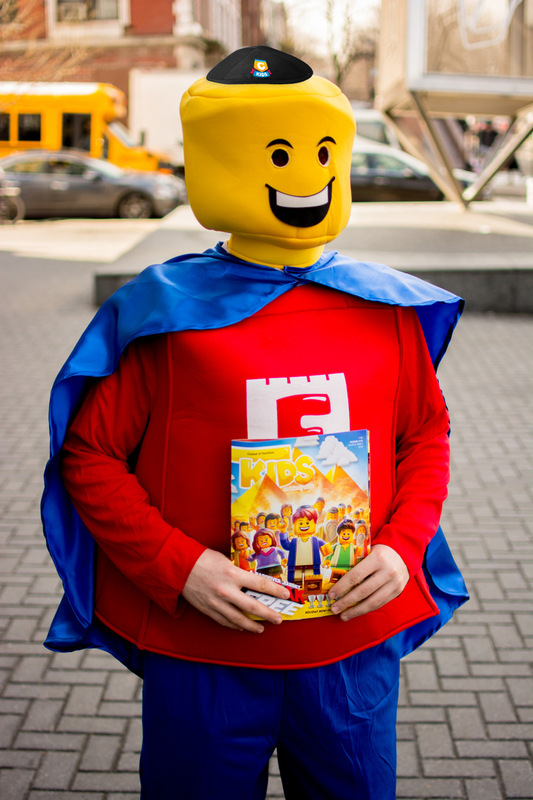 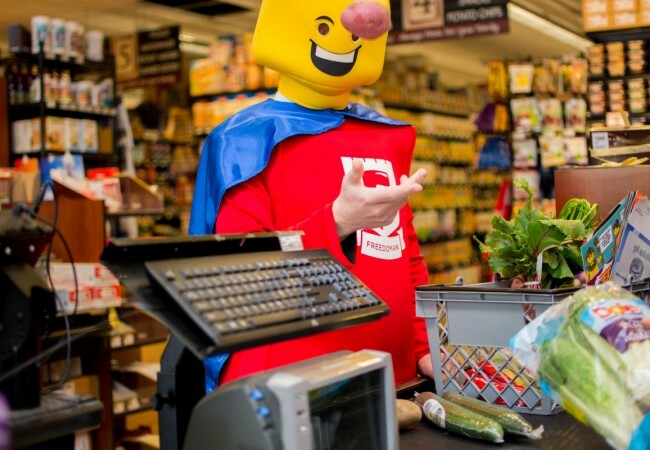 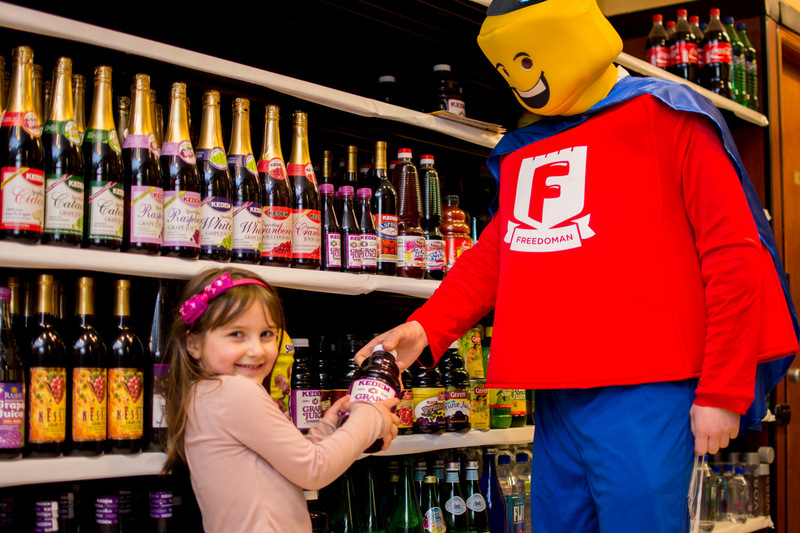 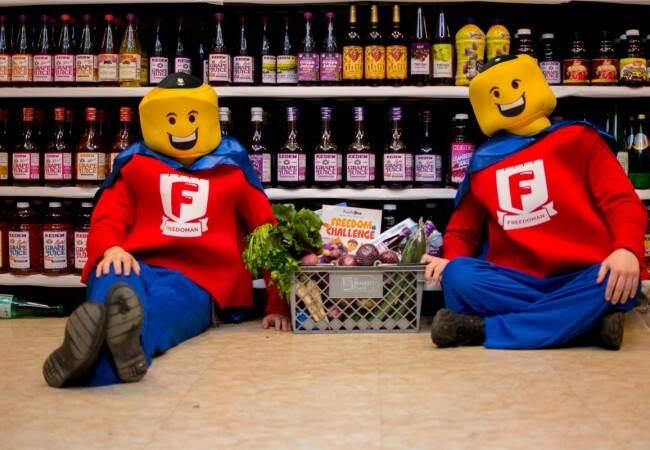 Nominated by the mission’s resolute spokesman and leader, CKids’ very own Lego superhero, FreedoMan, Jewish children around the world will be challenged to fulfill Pesach’s mitzvos, from shopping for Pesach staples, to eating matzah and maror at the seder. 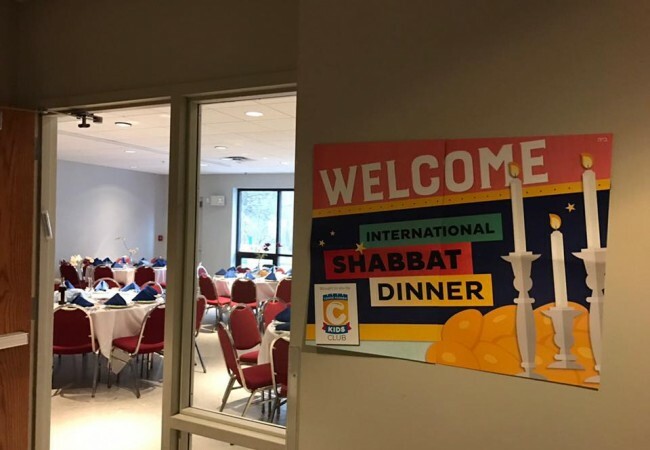 Global missions were a basic component of Tzivos Hashem for decades. 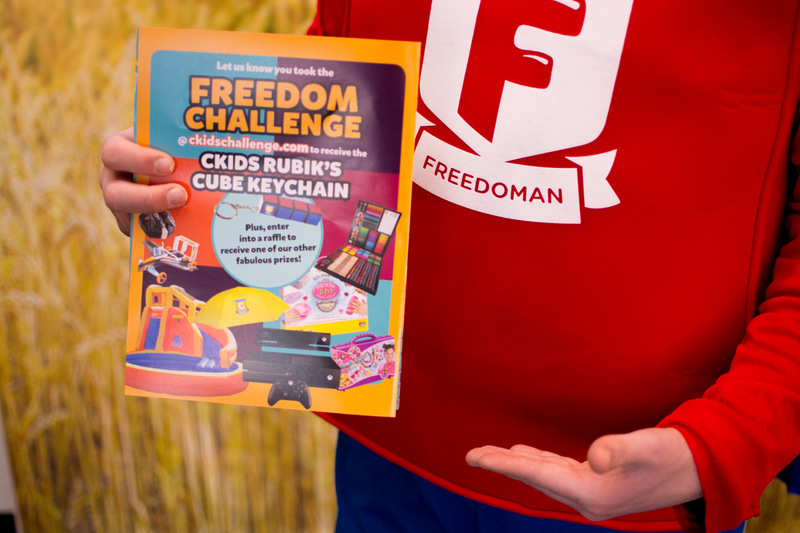 The Freedom Challenge successfully builds on that model, but adds a cutting-edge twist. FreedoMan himself will lead model matzah bakeries, appear at Hebrew schools, and wherever else Chabad Houses will be offering Pesach programming. 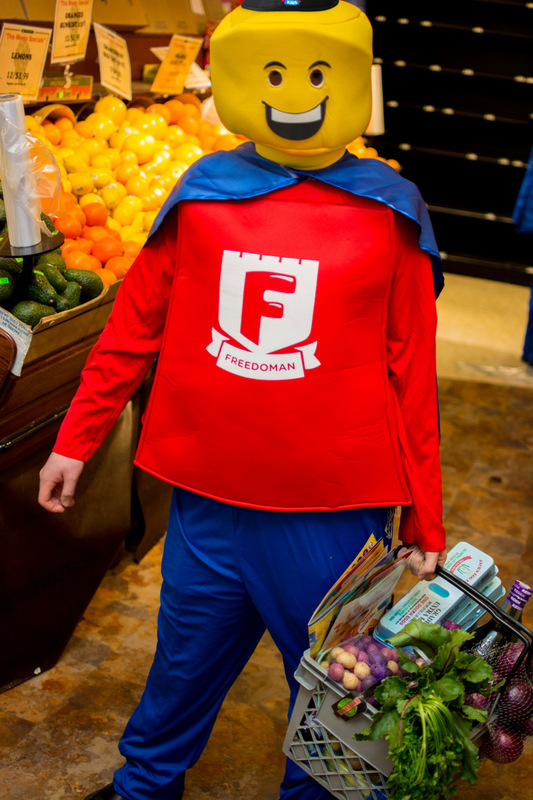 As the challenge progresses, children will head out to supermarkets armed with a colorful shopping list, where they will be joined by FreedoMan, who will help them do their Pesach shopping. 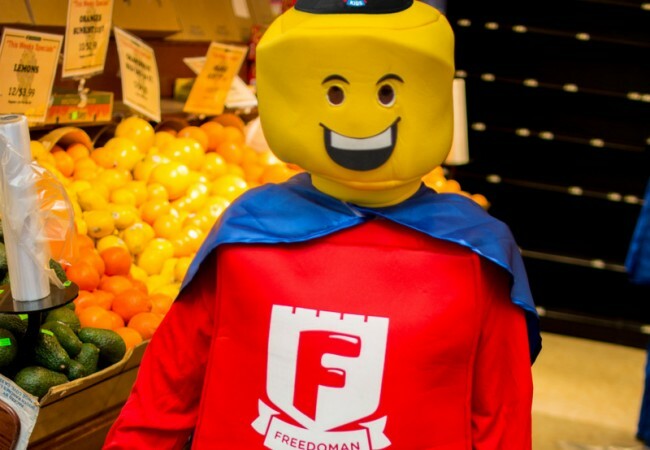 On Facebook and Twitter, FreedoMan will also be actively tweeting, posting, and tagging, encouraging participating children around the world to learn more and get involved. 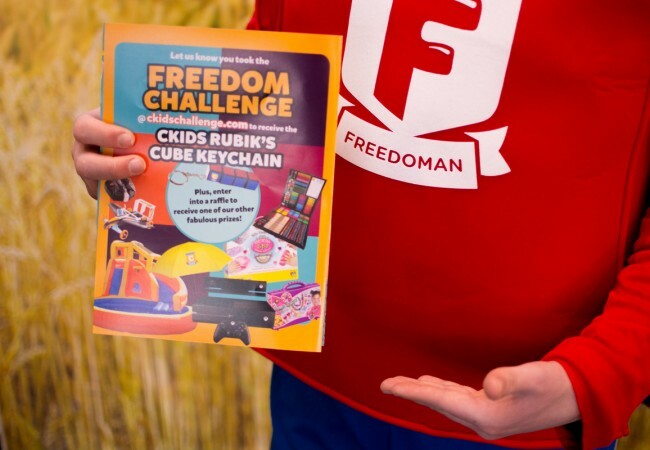 Everyone’s a winner since each child will automatically receive a CKids Rubik’s cube keychain; they will also be entered into a raffle to win one of many other fabulous prizes. 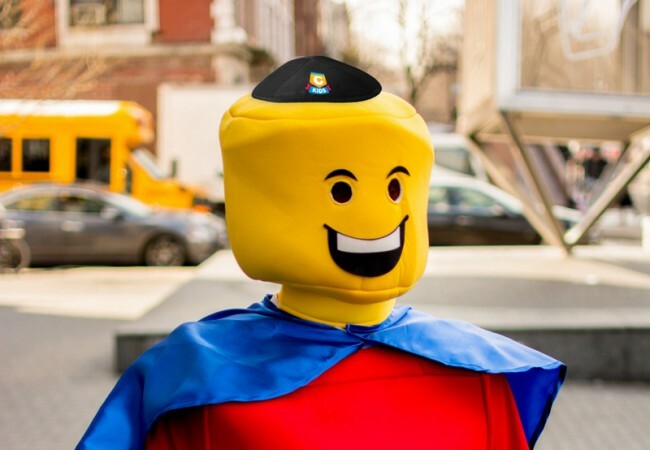 Behind the Rebbe’s vision for Tzivos Hashem was the idea of harnessing the power of Jewish children. 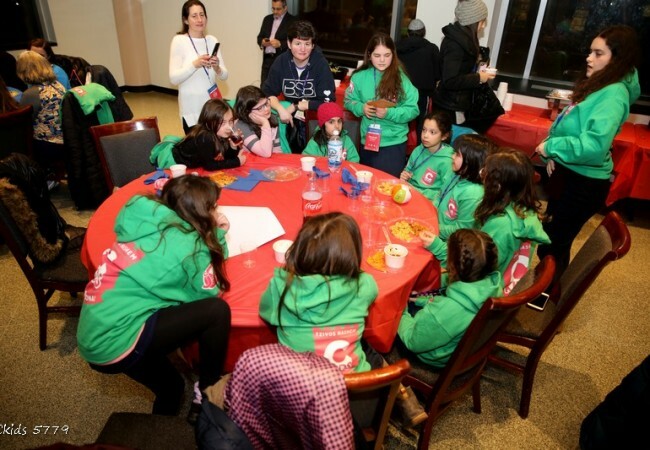 This remains as the driving goal of the CKids-Tzivos Hashem partnership today.